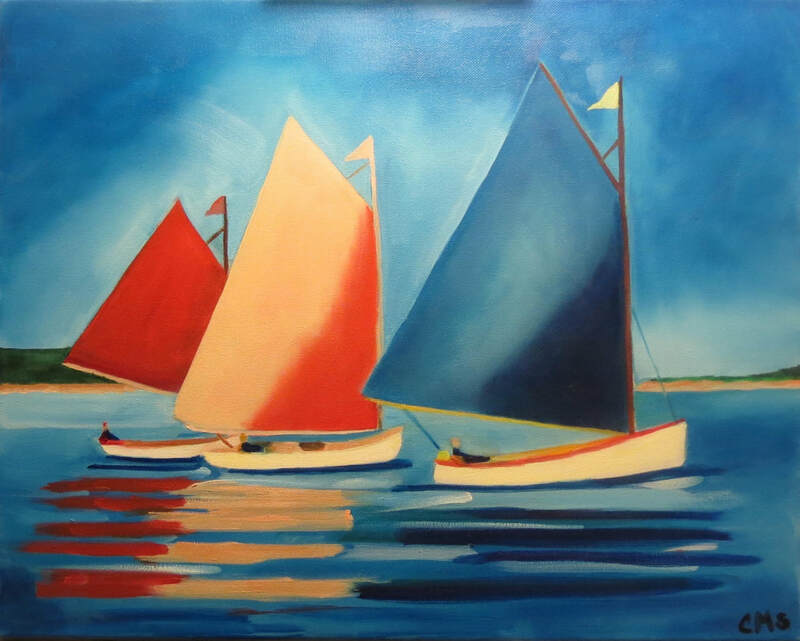 From Quinci S: Christine, I so enjoy your boats, they're so colorful and soothing. And on this one, look at those seafaring ropes gently moving in the breeze! :-) Great job! From Ellen C: I missed seeing the progress on your latest work. I love the colors. You really captured them. Well done! From Amy W: Definitely sense a theme here! Another beautiful painting, congrats! From Paul R: Beautiful light and color, Chris. Great job! From Sandie I: Beautiful Chris! From Ellen C: This piece is lovely Chris. It brings me right into the calm of a summer day by the water. Well done! From Amy W: Gorgeous, Christine. Makes me think Spring might be here soon. 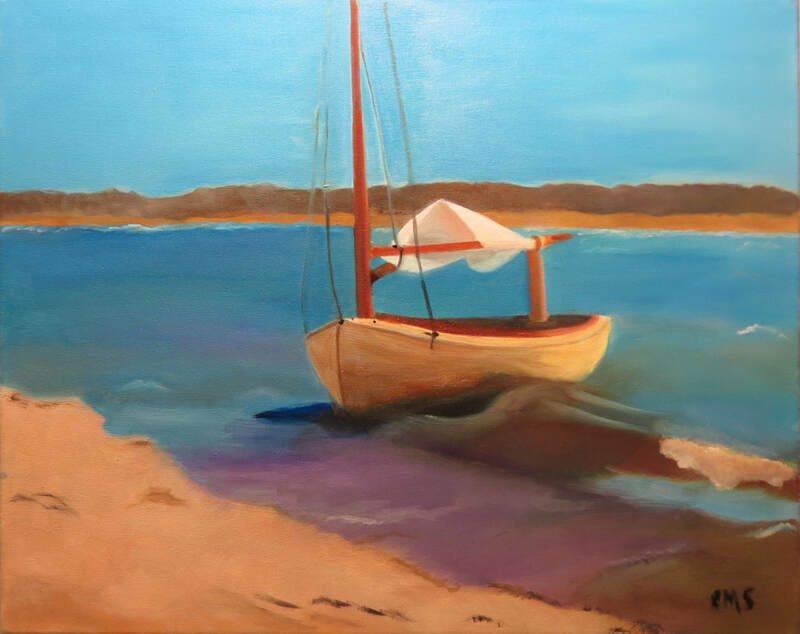 From Quinci S: Such a different vibe from your Three Sailboats! I hope you'll hang it where you can regularly look at it for a dose of serenity. From Paula R: Love all of your paintings, Christine! Wonderful colors. From Quinci S - Bold and beautiful! I just love the colorful water reflections! From Sandie I - So beautiful Chris!! From Ellen C - Chris! You did such a good job. It's really lovely. From Nancy B - So serene! Congratulations! ​From Sandie I - Love this Chris! From Amy W - What a peaceful scene! Lovely. 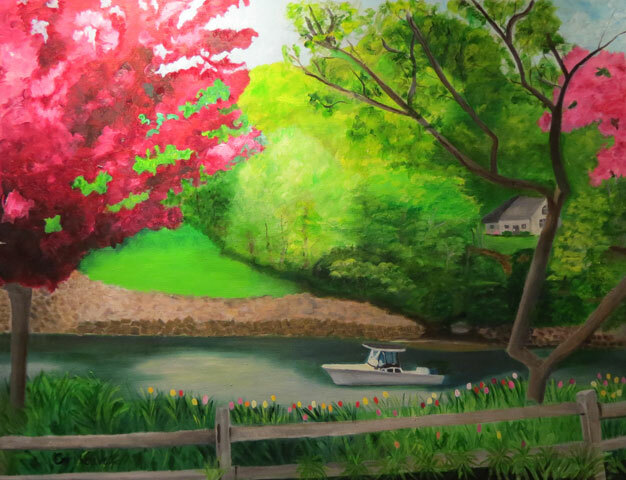 From Amy W - Beautiful painting, Christine! Love, love, love that rose. Well-done! Congrats. From Ellen C - Christine, Your rose is truly beautiful. It has such great depth and makes me want to smell it! Great job. From Quinci S - You really brought it to life, Christine! 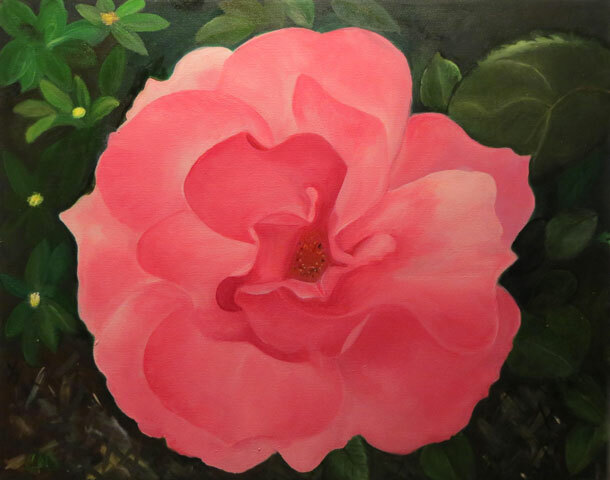 Anyone wanting to understand the phrase "soft as a rose petal" need only look at this painting. From Marlene W - Very pretty , great detail and depth. From Catie T - Beautifully done Chris! I want to grow this in my garden it looks so very real. Color and shading are fantastic! 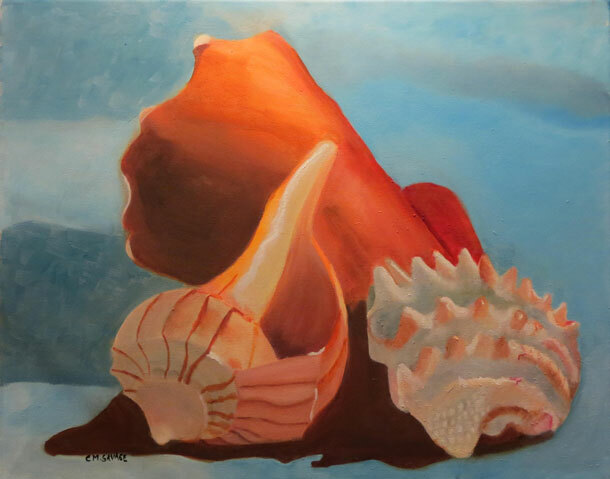 From Quinci S: I love your sea shells, Christine! There's so much going on there with the shapes, colors, textures, light & shadow - and you captured all those things so well. Congratulations! From Sandie I: Fabulous painting Christine!! From Catie T: Beautiful work, Chris! The colors are fantastic! The shells have come alive! From Judy K: Wonderful use of of color and value. Beautiful. Congrats on another lovely painting. 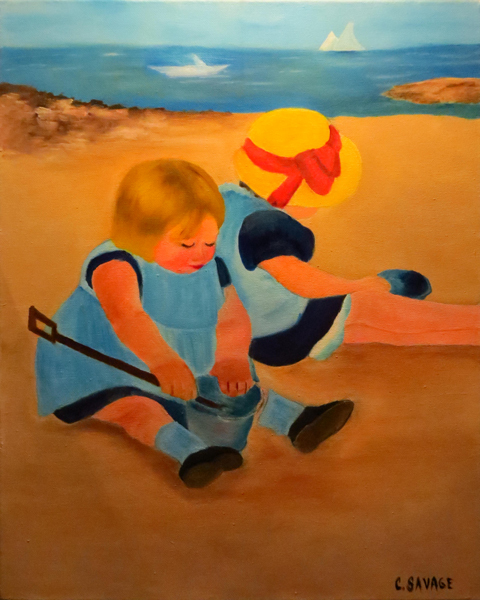 From Marlene W: I love the painting of the children on the beach. Great job. 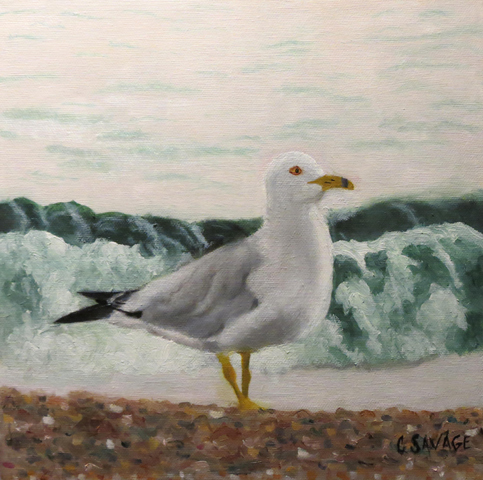 From Sandie I: Another beautiful painting, Christine! From Catie T: He came out wonderfully! Your son will be so happy with his gift! Comment to Christine S - comments posted upon approval.